“Northampton’s Loss, Wolverton’s Gain” An early Urban Myth. 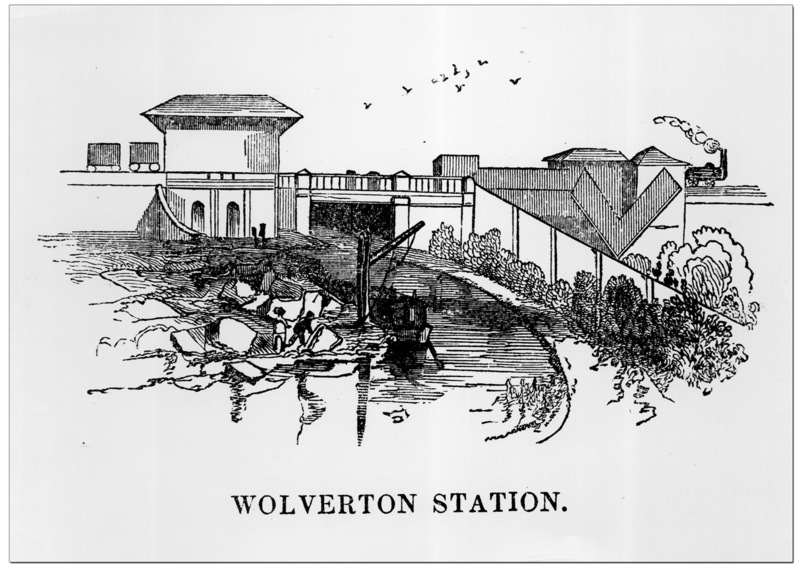 Wolverton as a railway town was an accident. I think I can safely say that. The original planned route from London to Birmingham would have taken the line closer to Buckingham and had this proceeded no line would have come close to the old village, but once the new route had been forced on Stephenson the course of the line took it through the Wolverton estate. If a station were to be erected there it would be with the intention of serving Stony Stratford and Newport Pagnell. Most of the towns on the new line were quite small. Leighton Buzzard, with a population of 3,500, and larger at the time than Watford, was by far the largest community. The only significant centres were Northampton and Coventry, and given Northampton’s size and labour pool, it may have made sense to the directors to establish their service and maintenance depot at Northampton. Housing and a local work force would have been at hand. In the end this did not happen and the route went to the east of the town and a station was established at Blisworth. Within a very short time the railways transformed the way people did business and Northampton, in a few years, found itself at a distinct commercial disadvantage. Four miles, which seemed insignificant in 1837, now represented a significant amount of time. In edition, the cost of cartage added to the cost of purchase and distribution. In 1845, when the Blisworth to Peterborough line was opened, Northampton got its first station at Bridge Street. Really, the town had to wait until 1875, when a loop main line began just past Roade cutting to offer an uninterrupted journey from either London or Birmingham to Northampton. In the meantime the London and Birmingham Railway directors settled on the greenfield site of Wolverton, at the mid-way point between London and Birmingham and with a useful road and canal link already in place, as the site for its new engine depot. It also meant that they had to face up to building new accommodation for the workers, and like good Victorian businessmen who believed that everything was possible, accepted the challenge. The circumstance under which the town was called into existence may be worth relating. 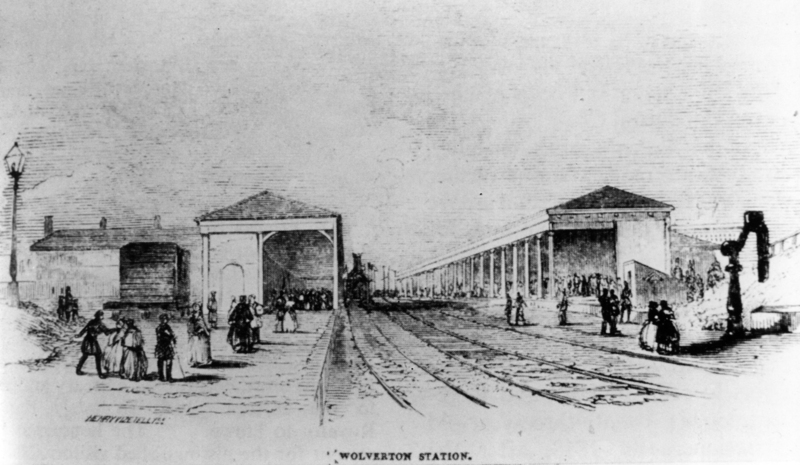 When the Birmingham Company’s bill was first introduced to the notice of Parliament it was proposed to establish a central station at Northampton, a town which, from its own importance and its central position upon the contemplated line, appeared to be a most eligible position fot the Company’s works. The shortsightedness of the Northampton people, all at that time engaged or interested in coach traffic, prevented the perfecting of the arrangements. After a vast deal of opposition, attended with great expense to all parties, they succeeded in forcing the Company to abandon their project, and select another spot on which to carry on their works. As there was no other town of sufficient importance eligibly situate on the route, the managers wisely sought a counterbalance for the disadvantage. They saw that if they lost some facilities by placing their station remote from a town, they would gain by the increased steadiness and regularity of their workpeople. Accordingly, Wolverton, a healthy spot, many miles from any place of public resort, was selected as a site for a large station, and there, as we said before, the Company have founded a colony of engineers, which is rapidly flourishing while Northampton is going to decay. This is a good story and quite plausible. Why would a main line railway bypass a town of the size and importance of Northampton? Why indeed? The problem with this story is not its plausibility but that other than these two anecdotal accounts, which were being repeated a century later, there is not a shred of factual evidence to support this account. The kind of information you would expect to find, correspondence between the LBR Board and the burgesses of Northampton is not to be found; there is not a single board minute, not a survey, not a single enquiry regarding land purchase. There is, in summary, no official record anywhere that Northampton was considered for the route. The probable facts are that Stephenson and his associates in this new enterprise were more concerned about linking London and Birmingham than they were about picking up trade en route. The course of the whole line scarcely touches significant centres and even where it does the stations are a mile or more away from small market towns, such as Harrow, Watford, Tring and Leighton Buzzard. Weedon may have been deliberately selected because of the important military establishment but apart from that the Company may not have given too much thought to having a station in important medieval towns such as St Albans and Northampton. 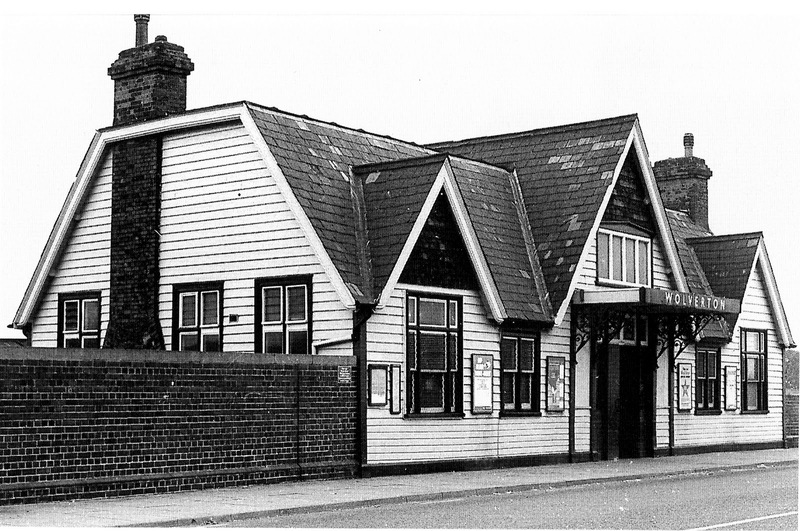 Most likely it was the astonishing and immediate success of the railway that led people to hanker after a rail line and railway station of their own and the immediate issue was addressed by branch lines to Aylesbury, St Albans and later Northampton. In the mean time the nearby station, even up to four miles away, was regarded as “their” station. Reporters for the Northampton Herald in 1838 noted with some satisfaction that Blisworth, “their station” was to be a first class station. Similar sentiments were expressed by Newport Pagnell about Wolverton. Thus we have an early example of what we now call an urban myth. A short time after the railway opening people may have felt some surprise that Northampton had been by-passed; someone may have suggested that it was opposition from Northampton commercial interests that led to this state of affairs an the story grew in the telling. Wolverton people may have felt some pride in getting one up over the larger town and may have been only too happy to relate the story to the Times reporter in 1844, who clearly took this at face value. The story was also told to me by my grandfather over 100 years later, so this version was truly embedded. Author Bryan DunleavyPosted on 31st December 2010 Categories 1840, Northampton, Wolverton WorksLeave a comment on “Northampton’s Loss, Wolverton’s Gain” An early Urban Myth. Most of the new shopkeepers who opened the first shops at Wolverton were based in Stony Stratford and opened their shops as branches. Joshua Harris was the exception. As soon as Bury Street was completed in 1840 Harris took one of the three storey buildings at a rental of 7/- a week. He and his wife Charlotte were Oxfordshire born – he from Banbury and she from Finstock. Both were born about 1812. So they were both mature and had probably had the opportunity to get some money behind them. Their first child was born only 6 months before the 1841 census was taken. We learn a little more from the 1851 Census where Harris gives his occupation as Draper, Grocer and Druggist, suggesting more of a general store. At number 414, with three stories, he had plenty of space to accommodate his business and family. The mixture of selling groceries and drugs may seem odd to us now but grocers had a long tradition of dispensing drugs going back to the middle ages. The separate function of Apothecary, or Chemist, developed in the 16th century but plainly the function could still be combined in small communities in the middle of the 19th century. Harris was a member of the Pharmaceutical Association at this time, so this must have been a role he took seriously. Joshua Harris died in his forties and his widow moved to Charlbury in Oxfordshire with her young family. As a “fundholder” (as she is described in the 1961 Census), presumably with capital from the sale of the Wolverton stock, she was able to support her family. It does not appear that the business survived Joshua Harris’s early death, at least in this location, because the house is occupied by an engine fitter in 1861. Amelia Prince was the daughter of a London stonemason and probably about 23 years old at the time of Sir Francis Bond Head’s visit in 1849 visit. She may already have been at Wolverton for a few years. She was born in London, the daughter of a stonemason and while at Wolverton lodged with Joshua Harris, the grocer on Bury Street. For her work as teacher of the Infant School was paid only £30 a year – not a very large sum, even in those days. She prevailed, and a few years later was promoted to School Mistress with a salary increase to £40 a year. In the mid 1850s the schoolmaster was replaced by a 25 year- old George Russell and somewhere around all these snippets of fact lies a human interest story. Mr.. Russell and Miss Prince fell in love, which of course is perfectly fine but for the conventional morality of the day. The L&NWR Board Committee which had oversight of these matters took a view which did not regard a liaison between two unmarried teachers as proper. Mr.. Russell was dismissed from his post in October 1857 and Miss Prince resigned her position two months later. Through this decision the school lost not only the amorous Mr.. Russell but also the very experienced Miss Prince who had worked there for at least ten years. George Russell quickly found a job in Poplar so there is no suggestion that he left under a cloud and probably received good references. The future Mrs. Russell, six years his senior in age, joined him in January. They married almost immediately, later had one son, and subsequently worked in village schools in Essex and Hampshire. We can also see the large disparity between men’s and women’s wages in those times. The schoolmaster’s annual salary of £100 put him on a par with clerks and engine drivers but the Infant School Mistress, in this case Amelia Prince, was paid little more than a boy apprentice could earn – typically between £25 and £30 a year. The boy apprentice, on achieving his manhood, could then earn £1 a week or better, whereas Amelia Prince had seen little improvement in her income after ten years of experience. Even so, when the Potterspury Poor Law Union decided to hire a teacher for the workhouse at Yardley Gobion in 1842 they were able to secure the services of a female teacher for only £15 a year. From the earliest there were men who came to work in Wolverton who were interested in self improvement and I have already discussed the autobiography of Hugh Stowell Brown who describes his efforts, and those of his mates, towards learning. Despite working for 58½ hours a week, almost one-third as long as we typically do these days, these ambitious young men still found time to work for new knowledge. On Sundays, Hayes generally went out into the fields to meditate; Harvey went to the Methodist Chapel at Stratford; Mickle wandered from one place of worship to another; and I went to church somewhere in the neighbourhood, generally to Stratford, because there was an organ there, which, however, was very execrably played. Our studies were various. Hayes went in for philosophy; Harvey for theology; Mickle for mechanics; I for mathematics. I don’t think we read a novel all the time we were together, and our whole stock of books was not worth £5. As I described in an earlier post, one of Hugh Stowell Brown’s friends, Edward Hayes, set up his own engineering works in Stony Stratford and maintained a company that became renowned for its apprenticeship training. By 1840 a Reading Room had been built beside the canal, which offered library facilities and a lecture room. It has been said that the Mechanic’s Institute was initiated after a suggestion by Edward Bury, and that may be so, but the active leadership came from the first incumbent of the living of St George’s, George Weight. 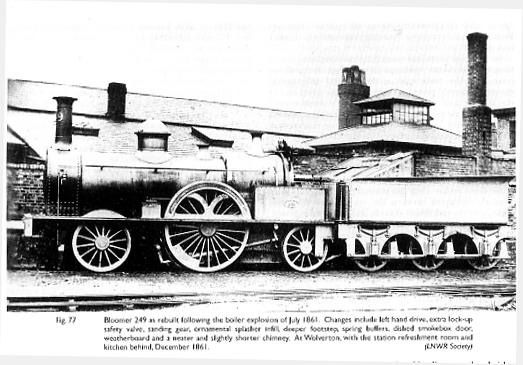 It was his energy that organized a huge banquet in the Engine Shed in 1849 to promote the idea and raise funds. 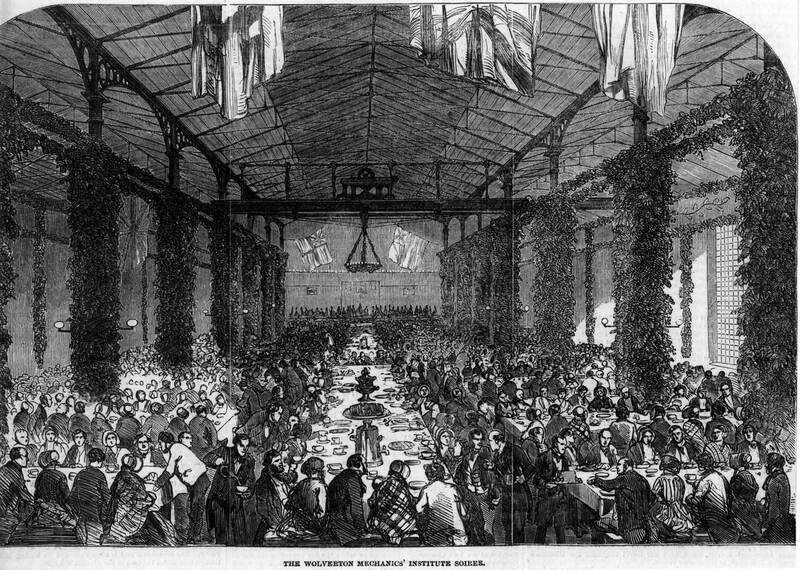 The scale of this particular function, attracting no fewer than 1000 people, featured in the London Illustrated News for that year, accompanied by a drawing. The drawing gives some insight into the effort that went into the occasion. Machinery has been moved, tracks covered, and the supporting columns decorated with foliage. I think the view of the artist is to the east with the south facing windows on the right. The light coming through the windows at 6 pm is impossible in late December. I can only conclude that the artist drew the picture or made sketches earlier in the day and added the figures later. The fact that this was reported in the ILN December 29th 1849 gives us some sense of the importance that Wolverton held nationally at that time. Like many such occasions, everybody had a very good time but lost sight of the original purpose of the event. It was always, in the end, going to take the resources of the L & NWR to fully fund such an enterprise and they had other priorities. It took a further 15 years before the dream was fully realized and unfortunately George Weight did not live to see that day. 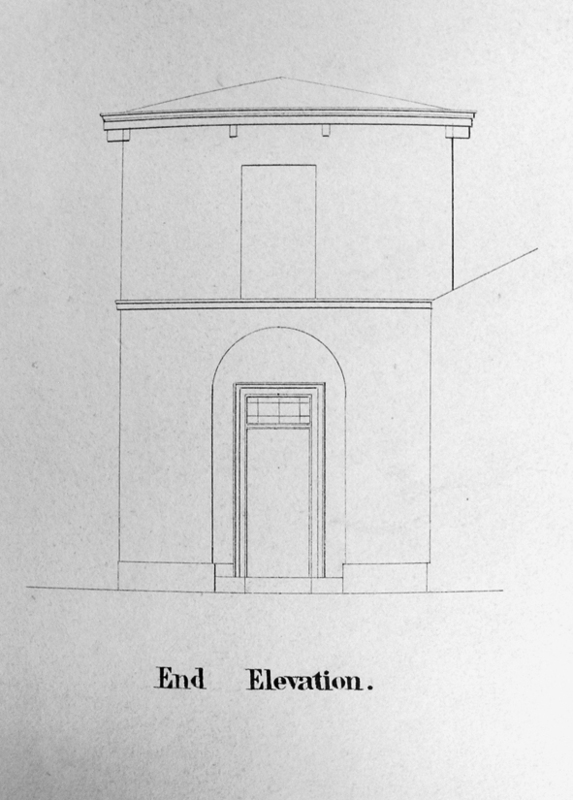 There are plans held in the National Archives for a more modest single-storey building, probably dating from the mid 1850s, but for one reason or another the plan was never implemented. It did eventually come to pass and in 1864, the new building proudly stood on the corner of Church Street and Creed Street. Before the age of television, radio, even mass-market newspapers, fame was a very limited commodity and ordinary people remained unknown outside of their own village. The railway, and with it the possibility of mass communication changed that. Improved education and literacy increased readership and it was possible to find out more about the world. One of the interesting things about the history of the 19th century is that lives were recorded in the registration of births, marriages and deaths and in the decennial census. Add to that the occasional reference in a book or a newspaper and it is possible to construct some sort of life of ordinary people. Leonora Hibbert was married to James Hibbert, a booking clerk. She was born in Norwich in 1810 and shows up on the 1841 Census as Housekeeper at the Refreshment Rooms but in 1851 she is very clearly the Manger with quite a sizeable staff of between 20 and 30 under her. 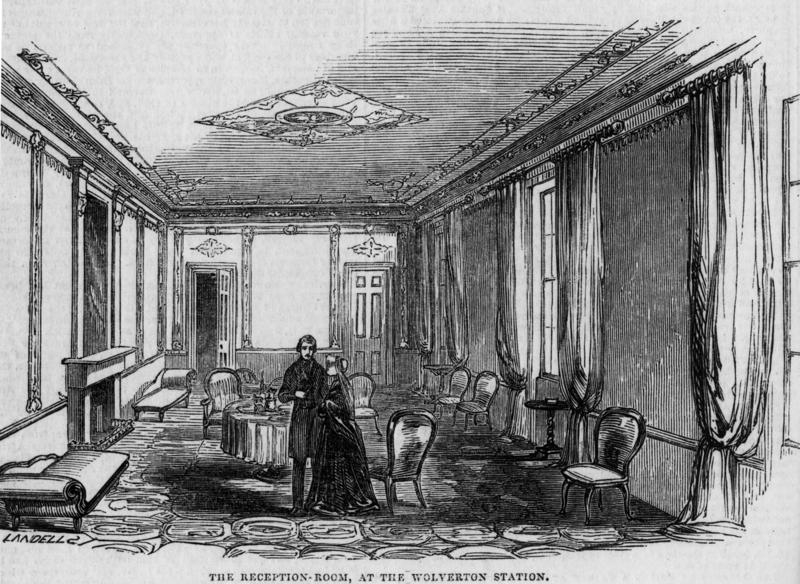 The Refreshment Rooms, as I have observed before, were unique for their time and for a decade at least were famous throughout the land. Sir Francis Bond Head, after his visit in 1848 or 9 immortalized her as the “generalissima” who made sure that this complex establishment, having to serve trainloads within the space of a few minutes, ran smoothly. From his description we get a picture of a strong-minded woman who knew how to organize people. As far as I can tell the Hibberts did not have children and after her husband died she moved to Holyhead to manage The Royal Hotel. By this time the Refreshment Rooms were in decline as faster trains meant that they could bypass Wolverton. She may have subsequently remarried.